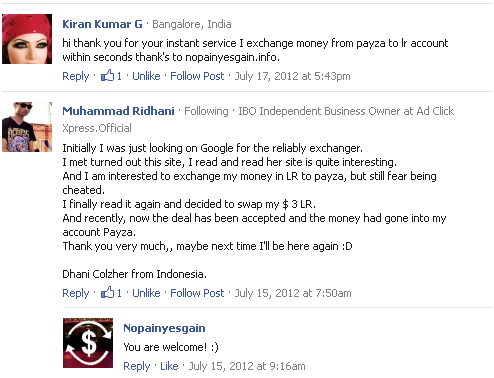 Welcome to Nopainyesgain.info's e-Currency Exchange service. We are doing e-Currency Exchange Service since June 2009. We are dealing with Perfect Money (PM), Skrill, Neteller (NT) & Bitcoin (BTC). We can exchange your e-currency between above mentioned E-currencies for very less fee. Note:- The above Fee is calculated only from the amount we receive. By clicking "Place your Exchange order here" button you will be directed to another page where you will be requested to fill the form. we will reply you by email. After that you can send us money to our corresponding Payment Processor account. Once we got money in our account we will send you money to your corresponding Payment Processor account. How much can I exchange? You can exchange your dollars from 20$ to 50000$ per transaction for now (we may increase this limit in near future). How long will Transaction take place? Transaction will be Instant mostly but sometimes it may take up to 24 hours to Process your order. We charge only above mentioned fee excluding the fee charged by e-Currencies but the minimum charge of $2 per transaction. How do we differ from other e-Currency Exchangers? 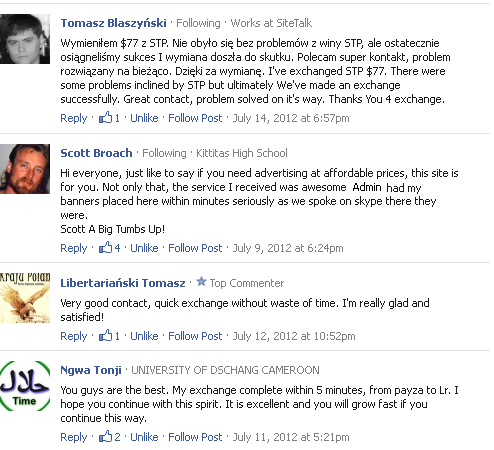 Our Exchange rates are transparent and we do all exchanges really fast. 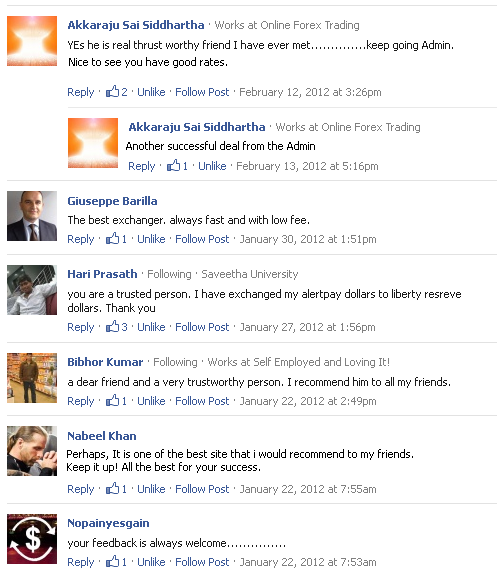 After exchanging with us please add your testimonials in the Disqus comment box located at the bottom of this page. 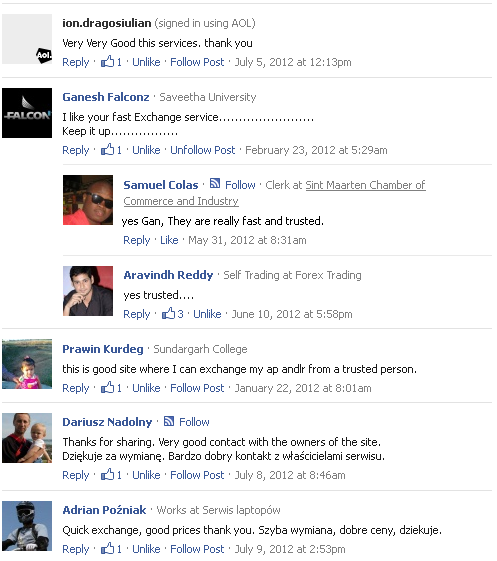 Your Testimonials will help us to continue this service for ever. You can share our service with your friends. You can also tweet, like us, post in your Facebook wall to share in social medias. Feel free to change the anchor text and descriptions to your own Wishes! Exchange your Neteller, Skrill, Perfect Money (PM) & Bitcoin (BTC) dollars Instantly - Good Exchange Rates and Less Fee!